WEDNESDAY, June 15, 2016 (HealthDay News) -- Brain cancer patients might benefit from an implantable ultrasound device that appears to enhance chemotherapy treatment, a small study says. 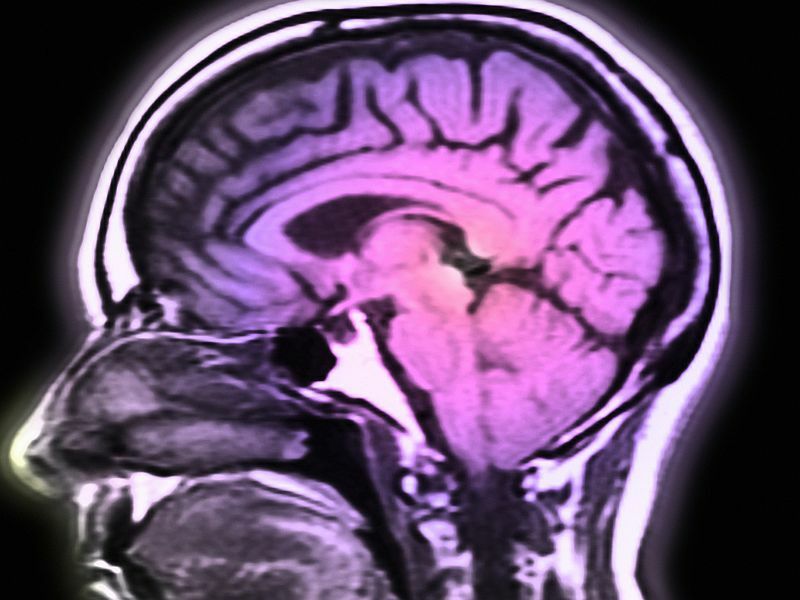 Researchers from the Pitie-Salpetriere Hospital in Paris and other French institutions tested the experimental device on 15 patients with recurrent glioblastoma, a particularly deadly brain cancer. When the so-called SonoCloud was activated, sound waves opened the blood-brain barrier, letting in more chemotherapy, they said. "The walls of the blood vessels in the brain are very difficult to cross for certain molecules," said Frederic Sottilini, CEO of Paris-based CarThera, the company developing SonoCloud. While this blood-brain barrier protects the brain from toxins, "it means a challenge for treating brain diseases and disorders, as 99 percent of potential therapeutic drugs are blocked by it," he said. "Scientists have been researching ways to bypass this barrier for over 50 years," Sottilini said. A U.S. cancer specialist said this experimental technique could prove to be an important achievement. "This is significant," said Dr. Ekokobe Fonkem, a neuro-oncologist at Baylor Scott and White's Vasicek Cancer Treatment Center, in Temple, Texas. "One of the reasons glioblastoma, which is one of the most aggressive forms of brain cancer, is very difficult to treat is because the blood-brain barrier prevents medications from getting across." It's possible that this ultrasound approach could pave the way for more effective treatments, Fonkem said. "There are some medications that have potential but can't cross the blood-brain barrier," he noted. But Fonkem said larger trials are needed before this device can be used in cancer treatment. "We have to see if there is any clinical benefit," he said. "They have to show it works without increasing side effects." One concern, he added, is that by breaching the blood-brain barrier, you may open the door to brain infections. "They have to make sure there is no room for bacteria to get into the brain and cause meningitis, which can be fatal," Fonkem said. Sottilini explained how the ultrasound device works: It's implanted in the skull, over the area of the tumor. When activated, sound waves cause tiny beads -- called microbubbles -- to vibrate, temporarily opening the blood-brain barrier. This permits more of the chemo drug to reach the tumor, he said. According to Sottilini, the device appeared safe to use in areas of the brain that control speech, movement and other senses. "This could mean major therapeutic possibilities, not only for brain cancers, but also for neurodegenerative diseases such as Alzheimer's," he said. The device is activated before each round of chemotherapy, Sottilini said. Two minutes of low-intensity ultrasound is enough to open the blood-brain barrier for about six hours and increase the concentration of medication five to seven times, he said. The researchers used the chemo drug carboplatin for the study. Carboplatin is commonly used to treat recurrent glioblastoma, they said, and has been shown to control tumors, but does not easily pass the blood-brain barrier. The experimental treatments were conducted monthly for six months at most or until evidence of tumor progression was detected. This phase 1 trial was not designed to test whether the higher doses of chemotherapy that passed into the brain were effective. However, tumor growth did not progress in nine patients, the researchers said. Sottilini said he hopes for a larger trial next year. The report was published June 15 in the journal Science Translational Medicine.